At the inception of a new business relationship, it may be difficult to imagine that this exciting new client will one day become a frustrating debtor. However, all debtors start out as customers. It is crucial to protect yourself from the beginning, and it is easy to do so with a thorough credit application. Consider a clothes manufacturer in China who sells $250,000 of goods to a distributor in Los Angeles, California. The distributor fails to pay, and the manufacturer files suit, seeking damages for the unpaid invoices. The distributor replies that it never ordered or received the goods, but that the goods were purchased by a third party. The manufacturer claims that this third party was only acting as the shipping agent for the distributor, and that the distributor is responsible. The shipping documents are directed to the third party, and the PO is unclear; it mentions both the third party and the distributor without clear intention of who is responsible for payment. Further investigation determines that the issue is of stark importance: the third party is out of business and, if the debt is held to be its responsibility, it is uncollectible. The manufacturer has essentially made a quarter-of-a-million-dollar gamble that a California court will hold the distributor liable over the third party. These facts are similar to an actual case I have handled. This issue could have been laid to rest at the inception of the relationship with the completion and execution of a thorough credit application. More often than you may imagine, when a collection case gets to litigation, the issue is who is obligated to pay, or whether the ordering employee had authority to act on the client’s behalf. Therefore, it is crucial to know, from the outset, precisely to whom you are extending credit. All of the obvious information must be requested: name of the company, physical and mailing address, phone, fax, and e-mail. Less obvious, it is crucial to obtain the legal form of the company, that is, whether it is a corporation, LLC, partnership, or sole proprietorship. If a corporation or LLC, obtain the registration number and the state where the entity is registered. This information will be vital if collection action is ever necessary on the account. Whatever form the client may have, be sure to obtain the name, title, and phone number of at least three principal owners, managers, or principals, including the signatory to the application. Also, the client should identify the primary contact that the creditor should work with, and the application should contain a statement that the client is granting that person express authority to act on its behalf. It is advisable to obtain a copy of a driver’s license or other government-issued ID for the signor, even if signing on behalf of a corporation. This forecloses the possibility of a dispute regarding the identity of the signor. A corporation is a separate legal entity. It can incur its own debts, and those debts are not the responsibility of individual officers, shareholders, or principals. This is true for a brand-new corporation that has one shareholder as well as for large international businesses. If you are dealing with a corporation, I strongly advise negotiating a personal guarantee from the owner and/or principal officer. Corporations can wind down and, if done properly, their debts die with the business, at least from a practical standpoint. Individuals, however, usually move on to start a new business, or at least are subsequently employed. With a personal guarantee, judgment can be entered against them personally, and follow them to their new business or job. Therefore, a personal guarantee is frequently the difference between a collectible debt, and a loser. Whenever I discuss a potential lawsuit to collect an outstanding debt with a client, I am always asked, “Can I recover my collection costs and attorney’s fees?” Although there are a few important exceptions, the answer is usually you can only collect your costs and fees if you have a written agreement allowing you to collect them in the event of litigation. The terms contained on the credit application are binding on the parties, and so it presents a great opportunity to start shaping the terms in your favor. The presence of an attorney’s fees clause is a huge factor in negotiating and collecting a delinquent balance. Knowing it will have to foot a hefty bill for attorney’s fees and/or collection and legal costs is another incentive for the debtor to pay before litigation becomes necessary. Civil litigation can be lengthy and expensive. The process will take about a year from the filing of the Complaint, and will probably require you to submit to depositions and other litigation procedures that take up employee and company time, as well as attending a trial. The good news is that California law allows the parties to limit and otherwise shape the manner in which any conflicts will be resolved. A clause mandating arbitration is common and presents several advantages. The process from filing the arbitration demand to a final decision can be as short as a few weeks or months. The parties get to select the arbitrator(s), unlike the judge in a lawsuit. Generally, the parties have much more control over the proceedings, and can establish the number of arbitrators and the rules and law that the arbitrator(s) will apply, among other things. It is important to carefully consider all of the possible formulations, and to mandate arbitration in that form in the credit application. Further, when collecting after litigation, the judgment has to be domesticated in the state or country where you wish to enforce it, if different from the state that entered the judgment. Arbitration grants a significant advantage in this respect, as the New York Convention (a multilateral international treaty) allows the enforcement of arbitration awards in many other countries without that process. 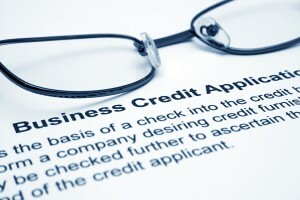 The credit application presents a great opportunity to protect yourself from bad debt. Be sure to obtain the form of the business, whether it is a corporation, LLC, partnership, or sole proprietorship. Negotiate a personal guarantee whenever possible for corporations and LLCs. Carefully consider taking advantage of the application to state terms favorable to the creditor, such as a mandatory arbitration clause. Although we all try to only extend credit to trustworthy debtors, it is inevitable that some substantial number of our debtors will go into default at some time. When this occurs, a thorough credit application can make all the difference.